This division was started when Scott Harrison saw a need both in and out of the industry. In the industry, we felt that there was a lack of trained installers and repairman to deal with the technologies of these units. Out of the industry, consumers are purchasing units and not getting the proper results causing repairs of the items they purchased. Tankless-Done-Right is passionate about protecting you and your home. We know a permit is required to install a tankless heater and many units are being installed without one by other companies, leaving your largest investment (your home) in jeopardy. Most customers appreciate honesty. Tankless water heating is not for everybody. Some homes just are very difficult to install a unit properly because of gas or venting requirements. We will be straight-forward and honest by telling you what it will take to have a proper installation. 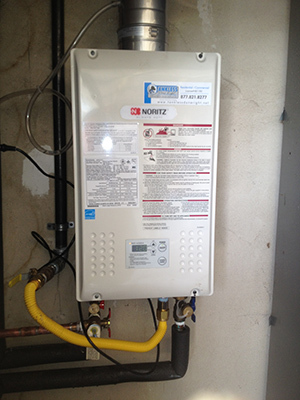 Tankless Done Right has over 25 years of experience. This experience also has allowed us to find other good contractors to help you. If you need a sub-contractor, just contact us and we will try to recommend someone we know will do a great job for you.